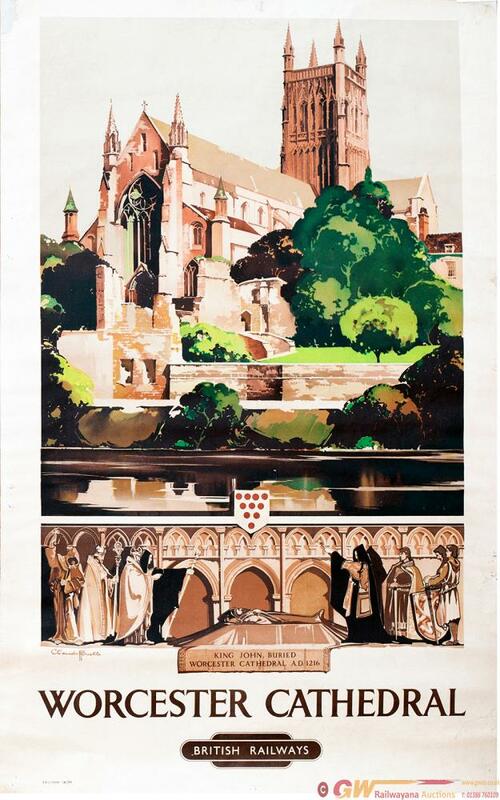 Poster BR WORCESTER CATHEDRAL By Claude Buckle. Poster BR WORCESTER CATHEDRAL by Claude Buckle. Double Royal 25in x 40in, published by the London Midland Region in 1948 and printed by Stafford & Co Ltd. The poster has been conserved onto rice paper with a small amount of restoration to the corners which would not be seen when framed.